2016 Row by Row Fabric License Plate - Bienvenue! Sale Items! > 2016 Row by Row Fabric License Plate - Bienvenue! 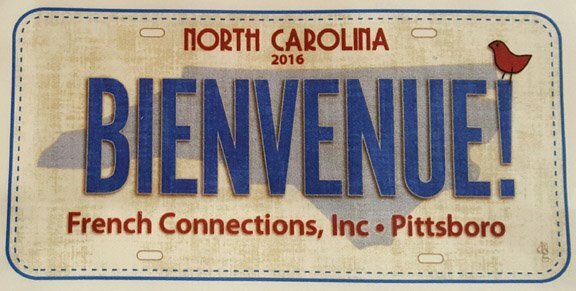 Row by Row Experience has begun for 2016 and we are happy to offer you our fabric license plate! This year's theme is "Home, Sweet Home" so we chose "Bienvenue" the French term for "Welcome." You will have to visit our store in Pittsboro for a free pattern, but you may buy our plate online. Cotton sateen. Measures 3.5" x 7.25"